Obubu Farms: Houjicha – Dark Roast. For my first journey into tea reviewing, I will start with a Japanese green tea, courtesy of Obubu Tea Farms, who provided me with a sample of their Houjicha- Dark Roast for review. 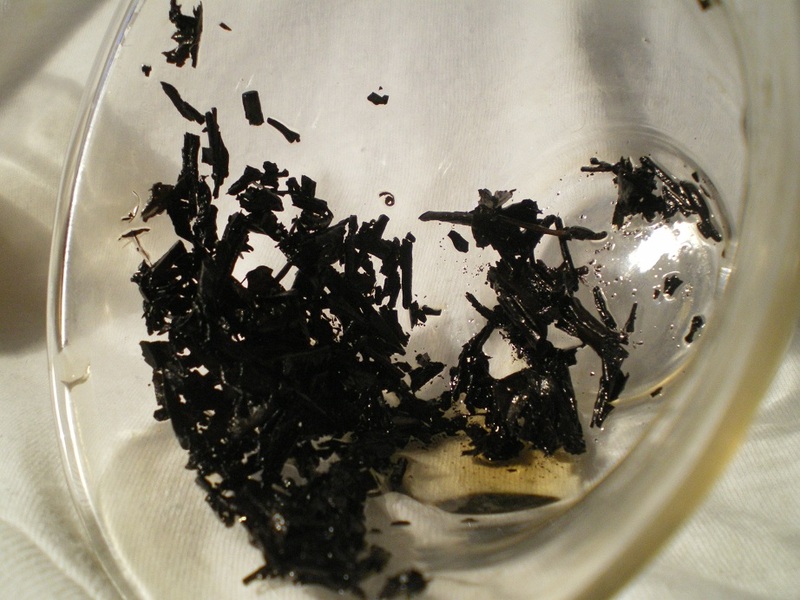 Houjicha is a Japanese bancha, or late harvest green tea, that is then roasted in porcelain over charcoal. 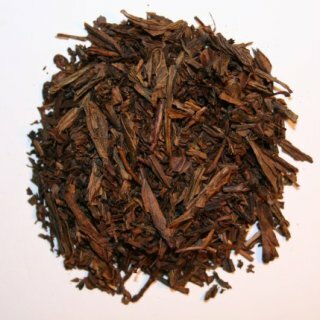 Since it is late harvest, and generally lower quality than first flush teas, it appears to be a mixture of stalks and leaves, with a dark earthy brown appearance when dry. Three things come to mind when describing the aroma of the dry tea: wood, roasted nuts, and a hint of chocolate towards the end. 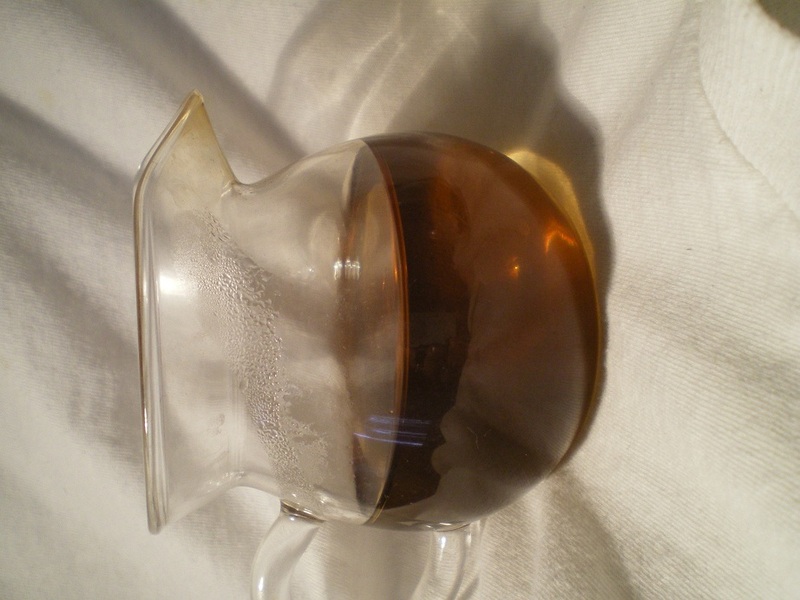 For the steeping, I followed the directions provided by Obubu and I used 1 tablespoon of tea for every 6 ounces of water. The water was roughly 195 degrees, and steeped for 3 minutes (the directions called for only 30 seconds, but I found the flavors to be weaker, so I went to a maximum of 3 minutes). I noticed, that when getting ready to taste the tea, you are hit with a smoky/woodsy aroma, which is one of the tea’s strengths. The liquor is a dark orange, almost a deep amber. The tea has a robust, roasted flavor with notes of nutty, sweetness and a hint of chocolate. In the end, this tea is a unique flavor, that I could easily have as a day to day tea for myself. I wouldn’t say that this is tea is for beginners, because this isn’t your average green tea. If you are looking for something different in a green tea, and want to expand your repertoire of Japanese teas, you should branch out and try it. It’s a wonderful tea for multiple steeps, as I was able to steep it 6 times before it started to noticeably lose flavor, making it a good deal for the price ($13 for 100g). Obubu suggests that after you have steeped the Houjicha, to cold brew the leaves overnight, and have a light, sweet, iced Houjicha in the morning. Connect with Obubu Tea Farms on Twitter and Facebook. This entry was posted on August 23, 2010 by Jordan M. Williams. It was filed under Tea Reviews and was tagged with Green tea, Houjicha, Obubu Tea Farm. Congrats on your first tea review! That Hojicha is some good stuff. Seems they give it away a lot in Japan like when you walk into a store you get a free cup. Thanks for the comment Jason. I seems like I need to make a trip to Japan, lol. Did you live over there or something?